The most amicable divorce ever? 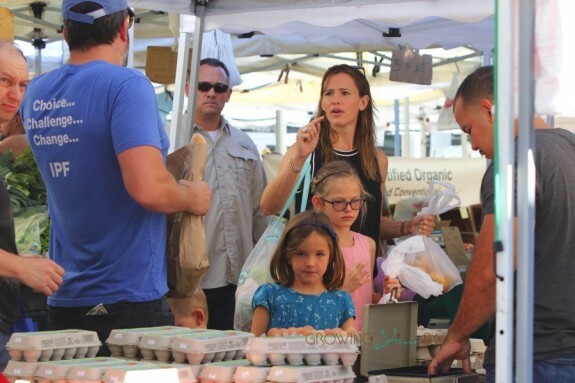 Ben Affleck and Jennifer Garner were all smiles while out at the market with their three kids Violet, Seraphina and Samuel on Sunday. The couple hit the market, and picked out fresh fruit vegetables and flowers together. 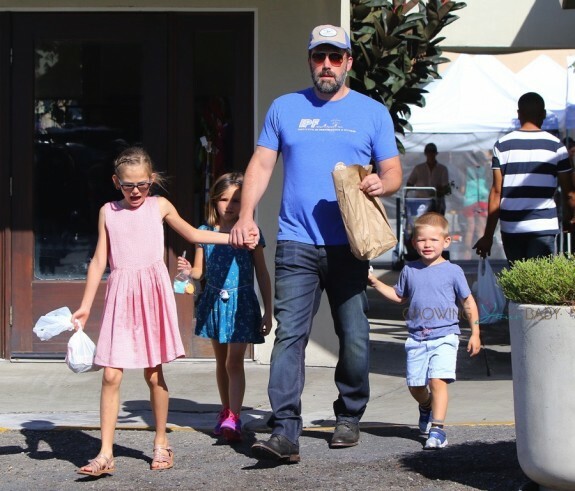 For a pair that are divorcing, Ben and Jen have been spotted together quite a bit over the past couple weeks. The actor has been joining the family at Church and also some of their weekend outings. Ben has been off for quite a few months while Jen filmed a couple projects. He is set, however, to start filming his next project, Live By Night in Boston in November. On top of starring in the Prohibition-era drama, Ben wrote it and will direct it. It will be interesting to see if Jen joins him in Boston so that the kids can be close or if they just make weekend visits, so not to disrupt their school year.